From its humble Swedish roots, Rekorderlig has retained its dependable honesty to become a much-loved, fourth generation family-brewed cider. Rekorderlig is a premium cider that you can rely on and trust. With a typically Swedish fusion of high-end design and modesty, it has a clear identity that sets it apart from others. 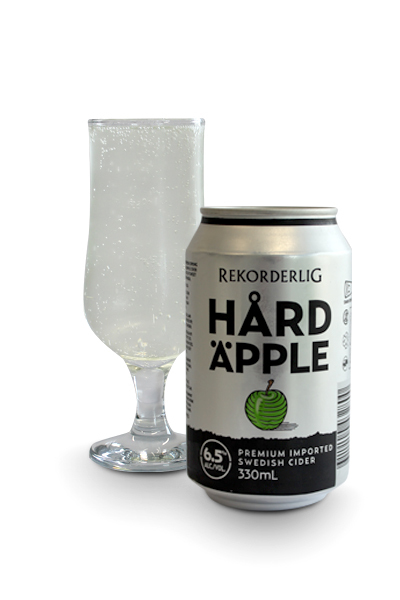 Tasting notes from the brewer: Influenced by their European heritage, where ciders are traditionally produced with a higher ABV, there are two delicious flavours in the Rekorderlig Hård Cider 6.5% range. Hård Äpple balances the initial sweet apple burst of flavour with delicate bubbles to leave a clean and refreshing finish; while Hård Pear is packed full of the flavour of plump pears, the 6.5% cuts through the sweetness of these ripe, juicy pears to reveal a deliciously crisp finish. You know when you order a Rekorderlig cider you’re going to get something sweet and the Hard Apple Cider is no exception. It even smells sickly sweet and after one glass it becomes a bit too much. It reminds me a lot of Moscato and that’s not really what I want when I drink a cider. Overall I did enjoy this drink though and the high alcohol content makes me more willing to forgive the sweetness. I’d definitely try this again over summer but one can is my limit. "Welcome back West Coast Wine Coolers"
I have had a lot of cider in my life but to me, cider is (and will probably always be) Magners on ice. I can't help but find all other ciders too sweet. Rekorderlig's Hard Apple Cider is no exception here - it is a very sweet cider; but, it's not completely off-putting. In fact, drinking this cider took me right back to when I was 15 and got stuck into my mum's stash of West Coast Wine Coolers. Think of this cider as the beverage equivalent of Moira McLean... sweet and yet somehow retro. Would I buy it again? Doubtful. I love Rekorderlig’s other ciders so I had high expectations. Sure enough, I wasn’t disappointed. It’s sweet and gives a sharp fruity hit the moment it hits the taste buds. There is a slight white wine after taste which I’m not a fan of but other than that, it goes down so smoothly. However, I can imagine having a few of these on a hot day, lounging on a massive blow-up pizza. 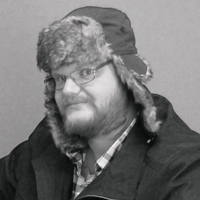 Would I buy it again? Absolutely.